Email newsletters – not everyone views them as an effective or necessary tool to include in a law firm marketing plan. However, email marketing is actually a proven tactic to help build business. Not only that, email messages are extremely cost-effective and provide a high return on investment. If your firm isn’t already sending a regular e-newsletter to clients and potential clients, here are five reasons why you should start. Email newsletters help create and maintain relationships. Email marketing establishes a regular link between brand and customer. E-newsletters help you stay on your client’s radar for a prolonged period of time. When done well, they keep you connected to the people who mean the most to your firm and help to build confidence in your brand. E-newsletters deliver great content directly to clients on a regular basis and nurture client relationships while establishing your law firm as a valuable resource. E-newsletters solidify your law firm’s place as an industry leader. E-newsletters enable your audience to get the information they are interested in while giving your law firm insight into what resonates with them and more, importantly, what doesn’t. Understanding what engages your audience will allow you to offer valuable content in your e-newsletters and position your law firm as a thought leader. More importantly, you demonstrate your expertise with clients, reducing the chance that they’ll seek legal services elsewhere. E-newsletters complement and enhance other aspects of your marketing plan. E-newsletters support other marketing channels and add value to other campaigns. 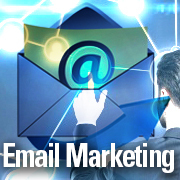 Email marketing provides instant contact for urgent announcements or releases. It allows you to keep clients and prospects updated on any new organizational and industry developments. By using your company’s self-published content to stay in front of customers and qualified leads, you can demonstrate value beyond products and services and become a trusted adviser. Regular communication drives measurable traffic back to your website. Because law firm email marketing messages frequently link to content hosted on your firm’s website, you can have a direct impact on website visitors. If your visitors find value in your content, they may be encouraged to browse the rest of your law firm’s website. You can measure the success of your newsletters. Unlike traditional print newsletters and direct mailings, e-newsletters can be tracked and analyzed using your email system’s reporting software and your website analytics. Data – such as open rates, bounces and click-throughs – is readily available, allowing you to gauge what content resonates with your readers and providing further understanding of your clients’ and prospects’ needs so you can reach them more effectively. Interested in adding an email marketing campaign to your law firm’s marketing strategy but don’t know where to begin? Feel free to contact me at jfaivre@jaffepr.com.